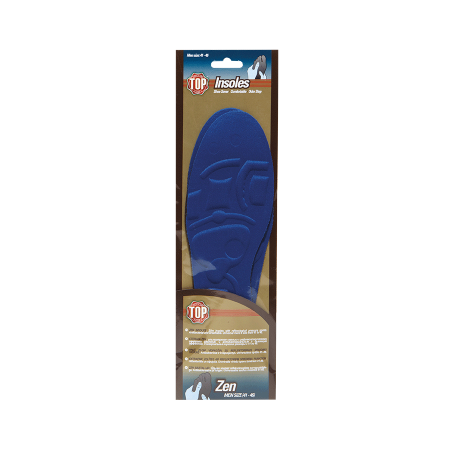 Extrafine insole with reflexological pressure points. Antibacterial and breathable. Universal gents' size from 41 to 46.